Sports Motorcycle Rental from RoadTrip near London. Sports motorcycle rental from RoadTrip offers three fantastic models to choose from. From our base near London we offer motorcycle rental close to London Heathrow airport. We are within easy reach for local riders from Berkshire, Buckinghamshire, Essex, Middlesex, Surrey, Hampshire, Kent and Sussex. In this category we offer the Ducati 959 Panigale, a pair of BMW R1200 RS Sport SEs and the excellent Ducati Supersport S.
In addition to a full range of clothing and helmets, we have Kreiga 10 and 20 litre tail packs for the Panigale and the Supersport. Full sets of hard luggage are available for the BMWs. 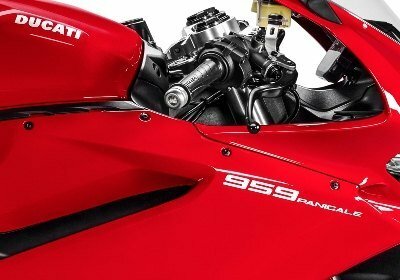 All Ducati motorcycles are an “event” to ride, and none more so than the 959 Panigale. Equipped with Ducati’s classic L twin motor, monocoque chassis, slipper clutch , 157bhp, and riding modes, it is everything you would expect a thoroughbred sports motorcycle to be. Changing the riding mode remaps the engine, traction control and ABS at the push of a button. The quickshifter is a delight to use. Read the full specification and then come and try one of the world’s great sports motorcycles. Our RSs are the top specification Sport SE versions with everything included. Traction control, ABS, suspension modes, throttle maps and a quickshifter. 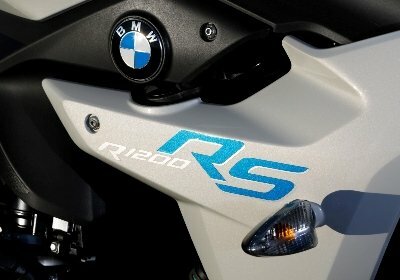 The RS is powered by BMW’s trusty R series boxer motor and is equipped with BMW’s tried and tested shaft drive system for no-fuss touring. Check out the full specification and come and see why this superbike has had journalists drooling over it since its launch. 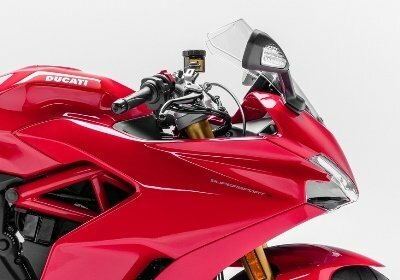 The Ducati SuperSport is powered by a 937cc 113HP Testastretta motor. This sports touring motorcycle is a fantastic and capable machine. Not as “focussed” as a Panigale, this motorcycle will appeal to those riders who want sporting character with a bit more comfort in the ride and riding position. The “S” specification SuperSport is equipped with full Ohlins suspension, riding modes, a slipper clutch and a quickshifter.